I got the following report a few days ago. I have been messaging back and forth with the witness to get more details. This sighting took place in Kentucky and is not that far from me. 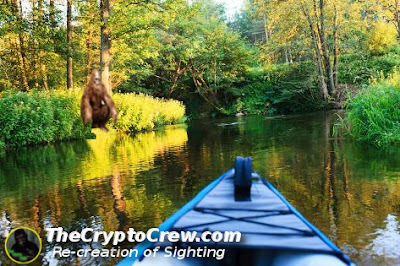 I know there is a picture floating around of a Bigfoot in a river, it is not associated with this sighting or report. This report did not have any pictures associated with the sighting but does contain some good details. Here is the report along with my conversation with the witness. 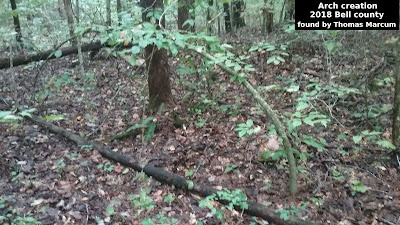 While kayak fishing on clear fork creek along Tackett Creek road, I saw a large creature with reddish colored hair crouched down at the waters edge. I first thought bear so I yelled "hey bear" and this creature stood up on 2 legs, looked right at me and opened its mouth almost like showing its teeth. It then turned and stepped up the bank like it was nothing! Not sure what this creature was but I do know it was NOT a bear. No protruding snout, no ears that I could see. The way it walked was the scariest thing about it. Bent at the knees like a gigantic man! Hope its a case of misidentification but I truly doubt it. TM: Can you guess at how tall it was? D: It wasn't huge like sometimes you hear on TV, this thing was taller than me and I'm six foot but it wasn't over 8 foot I wouldn't think. Its thickness is what really stuck out to me. It looked like it was made out of iron, looked really really heavy, but yet moved in almost a graceful fluid motion. Something that big you would think would make a whole lot of noise moving through the brush but it really didn't. I mean I could hear it moving but not like you would think it would. I'm lucky I could hear anything at all for the noise my heart was making in my chest! Have you had any other reporting's similar to this in my area? I've never heard of any. 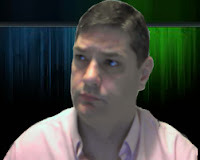 TM: In fact there has been sightings near you. I have had 2 other reports from that area. One near Red Ash and one near Pleasant View ...both pretty close to your area. which is roughly 3 and 6 miles away. D: Took me a few days to decide whether or not I was even going to say anything then I found your site so I figured I would. I've never been much of a believer but I don't disbelieve either I just never really gave it too much thought and definitely didn't ever think I would be someone that had an encounter. But I absolutely did! So what I kind of am looking for is this something I need to be worried about? I have five children and ......... I know you can't give me a definite answer but in your opinion are the things typically aggressive? TM: Most of the time Bigfoot are not dangerous. They have probably been there a long time. As a precaution I would not let any small children wander too far away on their own. Many times they (Bigfoot) are curious about us. If you have fruit trees or chickens they might steal some apples or eggs ..maybe even a chicken. Normally Bigfoot are not a danger. A thanks to Dustin for contacting me and providing more information about his sighting. During our messaging back and forth I also gave him more information about bigfoot and other advice about his sighting. There is a chance I might get to make it to the sighting area in the future. Also if anyone else has had a sighting in this area, please feel free to contact me. Short kayaks are great for white water because they turn easier. https://iqyax.com At its center, kayaking is just a technique for driving oneself through a waterway by utilizing ones claim control. 5 Creepy Images That You Must See! Ghostly Pastor Shows up in Church Photo? TCC News - Anti-Aging Breakthrough!